Claude Moraes, a Member of the European Parliament (MEP), will share his views on the role of the European Parliament in the Brexit negotiations, whether the UK needs to legally hold European Parliament elections, and the European Parliament's role in the transnational regulation of data and security. The City Law School will host an 'Evening with Claude Moraes' on April 23rd. Chaired by Professor Elaine Fahey, Claude Moraes, the Member of the European Parliament (MEP) for London, will be in conversation with Dr Elizabeth O'Loughlin and Dr Adrienne Yong on the polarising issue of whether the UK should be required to hold European Parliament (EP) elections while still a member of the EU without having formally withdrawn from it. Organised by the Institute for the Study of European Laws (ISEL), the event takes place at 6pm in Room AG03 in the College Building. 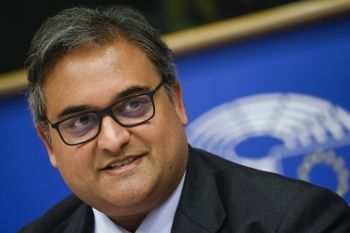 As the outgoing Chairperson of the EP's ‘LIBE’ Civil Liberties Committee, arguably the EP’s most powerful and globally significant committee, Claude Moraes will also discuss the expanding reach of EU law, drawing on the example of Facebook founder Mark Zuckerberg's appearance before the EP's conference of presidents in 2018. Claude Moraes will share his perspectives on the transnational dimension to civil liberties, for example, where the EP is involved in the transnational regulation of data, security and enacting laws to deal with terror threats. Please visit this weblink for free registration and admission to the event.